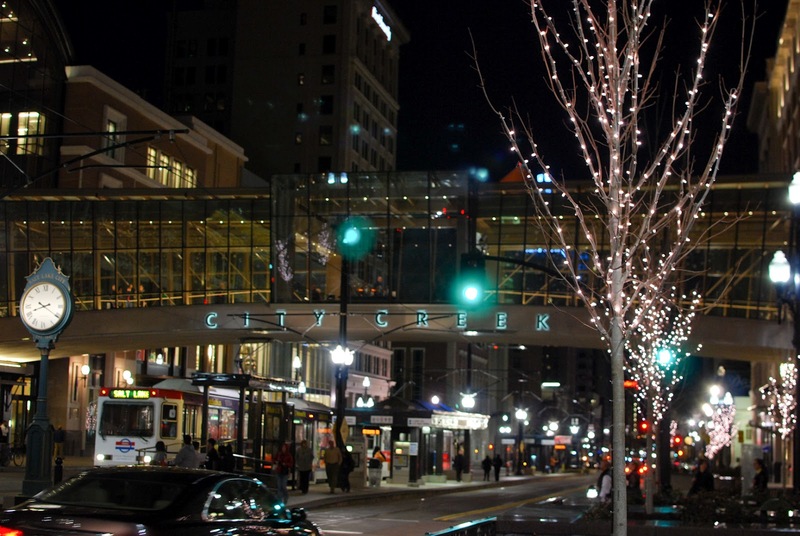 If you live here in Utah you know that the opening of City Creek today is a pretty big deal. 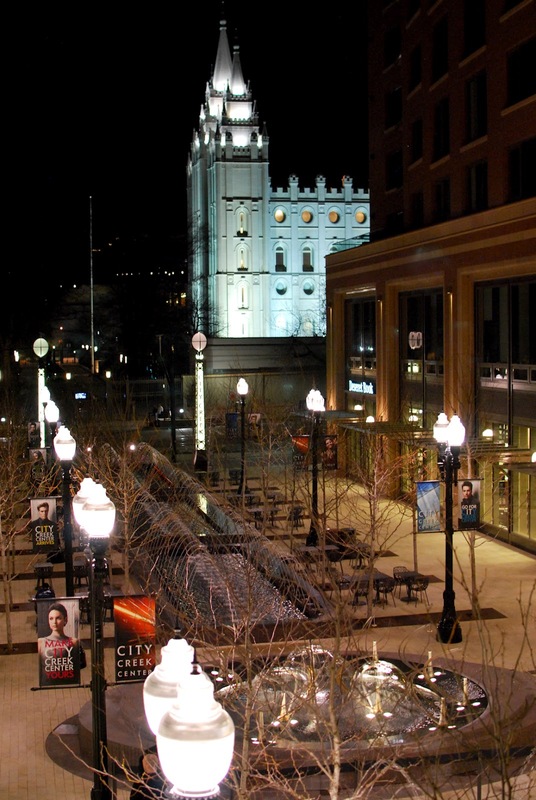 City Creek is located in downtown Salt Lake City. 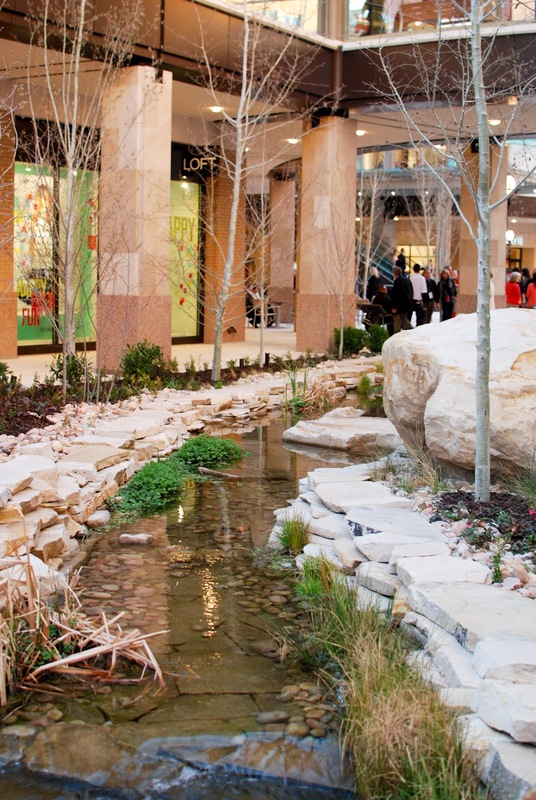 It is a 20-acre development with a shopping center, office and residential space, a creek that runs through the entire center, two 18' waterfalls, a fountain, a sky bridge, trout ponds and more. 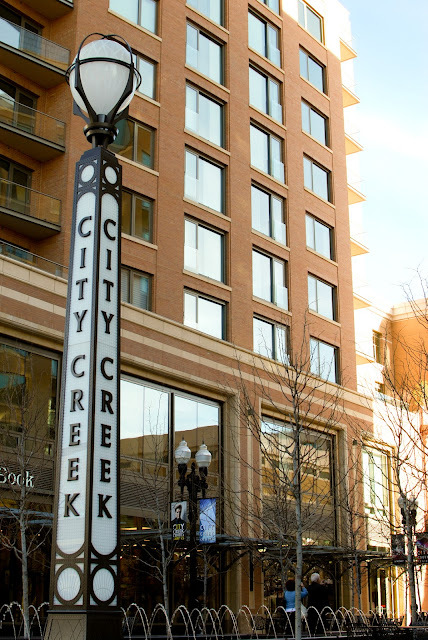 Last night I had the pleasure of attending the City Creek Gala, which was a charity event that they held as a preview to the opening today. All the stores were open and it was quite the party. I was excited to go, but I really had no idea how amazing it was going to be. I think City Creek will change the face of downtown. It's so gorgeous and unique to our city. My friend and I commented several times on how we didn't feel like we were in Utah. It has a different vibe of anything else we have here. The creek that runs through the entire center. Photo: MGS by Design. Our company, MGS by Design, has a sister company called Global Stone, Inc (aka GSI) that does commercial stone, tile, cladding, etc. There were several stone companies commissioned for this $1.5 billion development, and GSI was proud to be one of them. We did some of the interiors of the residential spaces, cladding on exteriors of some of the buildings as well as tile work in a few different areas around the center. We did the tile on floor of the Sky Bridge, below is the Sky Bridge from the outside. 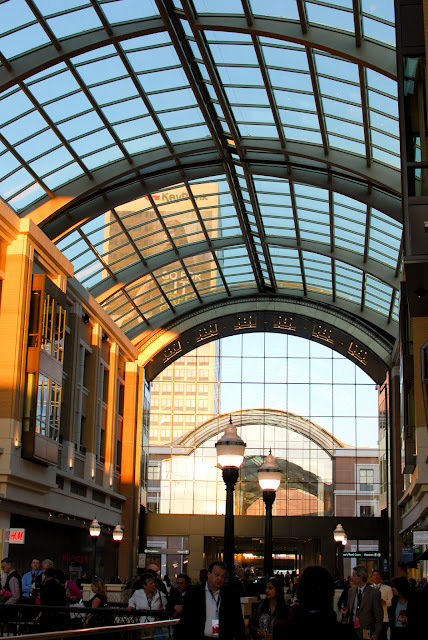 The roof in the picture below is retractable. It's 15,000 square feet of roof and opens up in just minutes. Being in Utah, this is going to be great to have it open during the summer and closed in the winter! 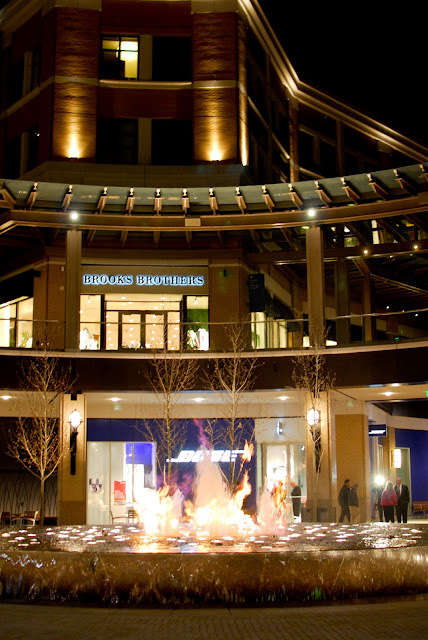 The center fountain, pictured below, featured flames dancing within the water. It was really cool to see, but it did scare us at first before we realized what was going on! The water shows were choreographed by the same designer as the Bellagio fountain show. 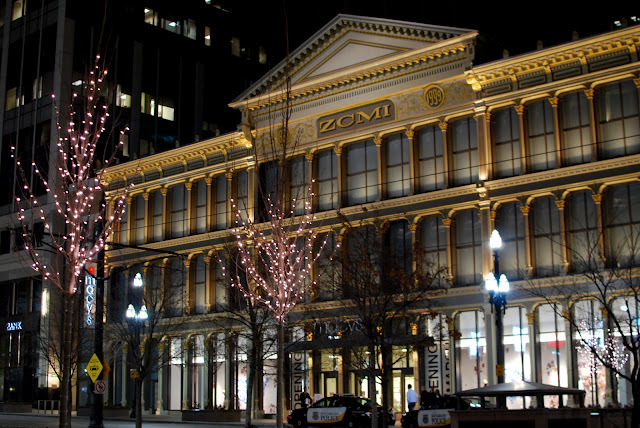 The ZCMI Center's facade remains intact. It is the only cast iron facade like it in the country. It looked so beautiful last night all lit up. If you live here or if you are coming here to vacation you definitely need to go check out City Creek. I live in Nevada but I've heard about this project. That's awesome that you got to see it before it opened today. 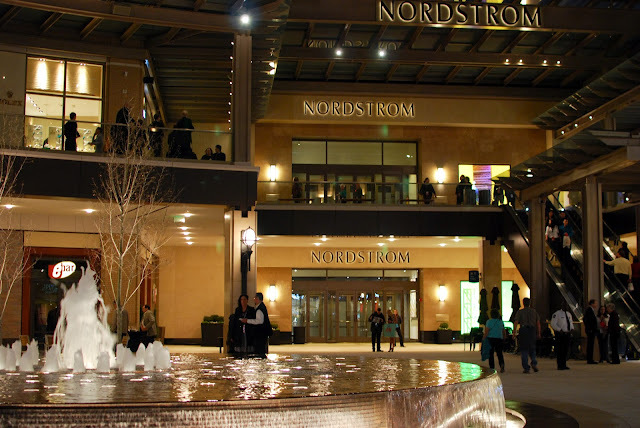 I'll have to come visit soon, it looks beautiful! you got great pictures! Nice job! 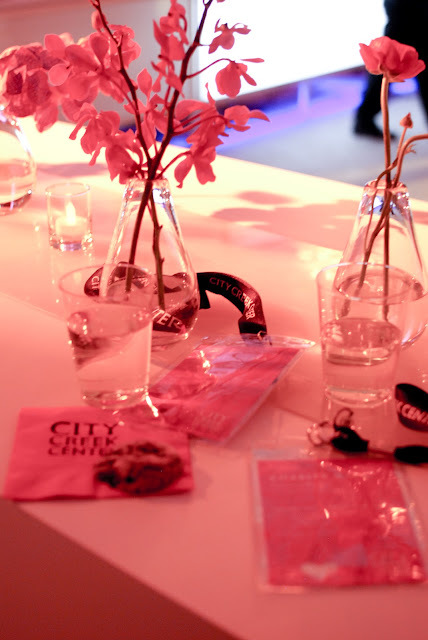 Thanks again for letting me be your guest - so fun! On Studio 5 they were talking about lots of stores that I didn't even see on Wednesday - we'll have to go back soon.